But sometimes a client who appears to have refine taste & classic style will surprise me with a bold color palette already painted on the walls. 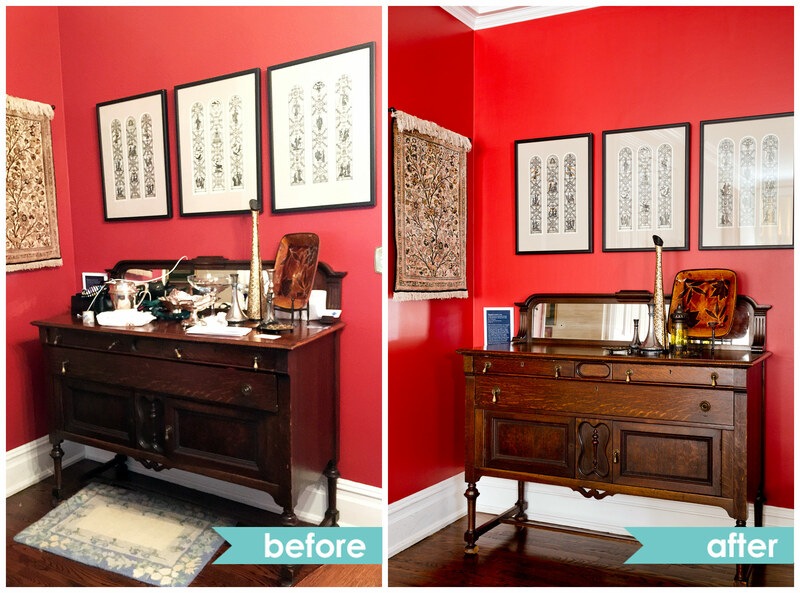 In both photos, the red registers beautifully in the respective rooms and makes a statement without overwhelming – although I love bright hues, so I might be a little colorblind if they feel overwhelming. Paint is simply the easiest way to bring life and excitement into a space. Dare to be different and embrace your part of the rainbow. If you decide you don’t like – the cost and time to change is minimal. What room would you like to try a new color? Share with me on the apartmentjeanie facebook page – I would love to see your responses! I know there has to be some color you’ve been contemplating! Did you know if you fail to like and comment on your favorite Instagram accounts, they will disappear from your feed? If you enjoy the apartmentjeanie content – definitely let me know by being active on the posts – that goes for all your favs. This newish algorithm can explain why Tater Tot’s dog walker’s posts are the first and most prevalent in my feed – even on the days Tater Tot’s isn’t tagged!